Peterborough is one of eight areas in England to take part in a Voter Pilot scheme to help combat electoral fraud. The city council chose to be part of the scheme which has been launched by the Cabinet Office and will see the city bring in tougher measures to strengthen its postal and proxy voter process even further in the run up to the forthcoming elections on May 3. These include officers hand delivering postal voting packs and completing face-to-face surveys with postal voters to stress the importance of completing the vote themselves. A second round of face-to-face surveys will be completed after the postal vote returns to check residents put an X in the box themselves. All face-to-face surveys will be completed at random computer generated addresses throughout the city over the coming weeks. The proxy vote is also being strengthened, with all proxy voters required to produce photographic identification at polling stations before being issued with a ballot paper to vote on another’s behalf. Individuals without photographic ID will be able to source this from Peterborough Town Hall prior to the elections taking place. 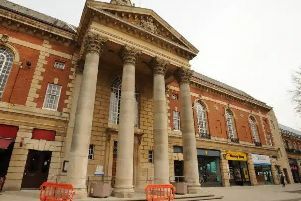 The city had problems with electoral fraud in 2004 and ex-Tory Mayor of Peterborough Raja Akhtar and ex-Labour Mayor Mohammed Choudhary were jailed in 2008 for interfering with postal votes in Central Ward during the city council elections. Similar trials will be taking place in Tower Hamlets and Slough and ID verification of voters will take place in Bromley, Gosport, Swindon, Watford and Woking. The council will be working closely with Cambridgeshire Constabulary throughout the scheme which aims to reduce the risk of election fraud and ensure voters have confidence in the electoral system. Council chief executive Gillian Beasley said: “We chose to be part of the Voter Pilot Scheme due to our previous work, together with the police, in combating electoral fraud. “As well as being shown to be taking a tough stance on electoral fraud, our involvement in the scheme is a great opportunity to further strengthen both our postal and proxy voting processes to deter those who want to abuse them. We really wanted to be part of this scheme to strengthen practices. “Everyone in our city who is registered to vote has the right to make their vote count. Filling in a vote on another’s behalf is a criminal offence and we will be taking a tough stance to ensure this does not occur in the city. The voter pilot scheme is being run alongside a new campaign called ‘Your Vote is Yours Alone’ to help prevent electoral fraud ahead of May’s local elections. It raises awareness of what constitutes unacceptable pressure to influence whether or how someone casts their vote. The campaign is being run by local authorities with the support of the Electoral Commission and Crimestoppers, the anonymous crime reporting charity. The council has set up an election fraud hotline and anyone who has any concerns can report them by calling 01733 452277. If you believe an act of malpractice is ongoing call police on 101 or 999. For general enquiries about the elections call 01733 452249.